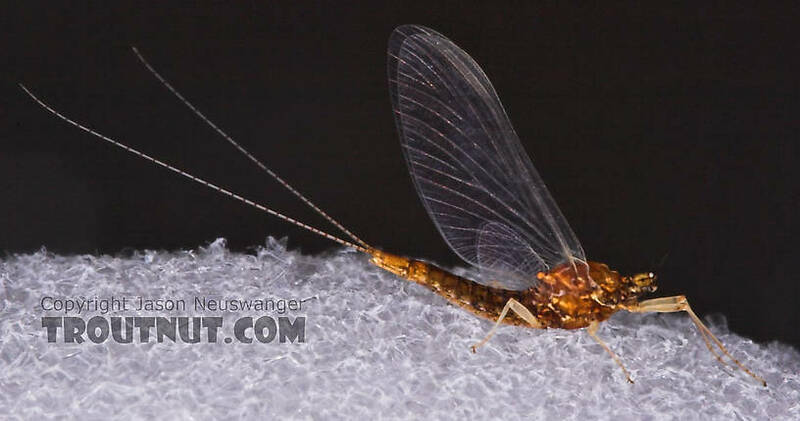 This Ephemerellidae spinner was emerging unusually late, and on a warm stream. 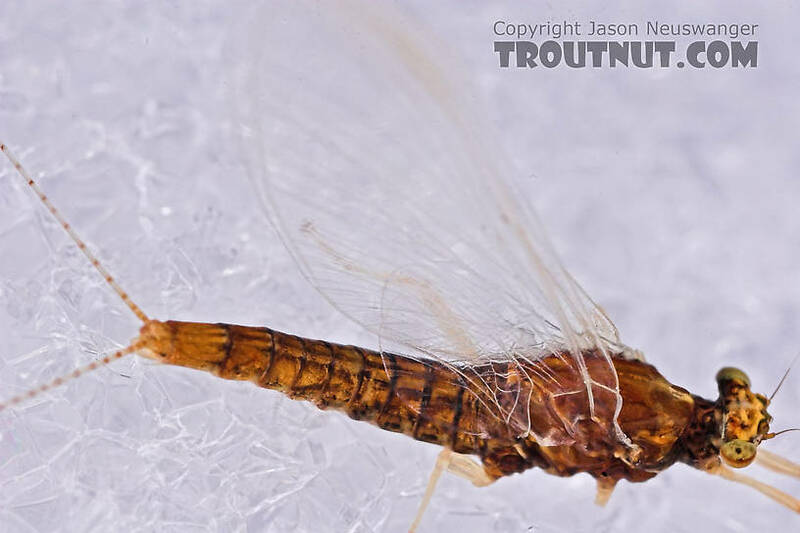 Since it's a female, identification is difficult. 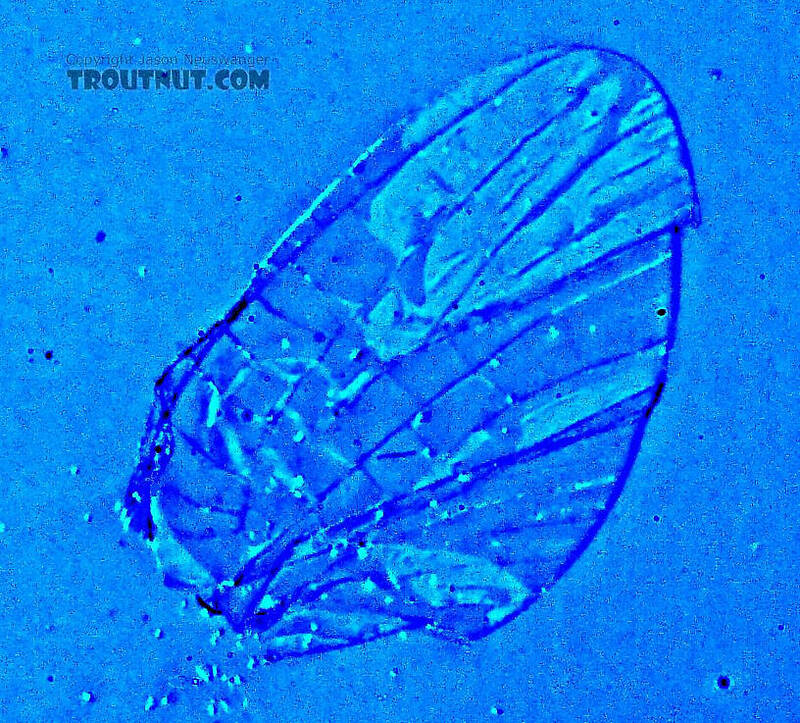 Her identical coloration suggests she's probably of the same species as this specimen collected on a cool trout stream almost a month earlier. 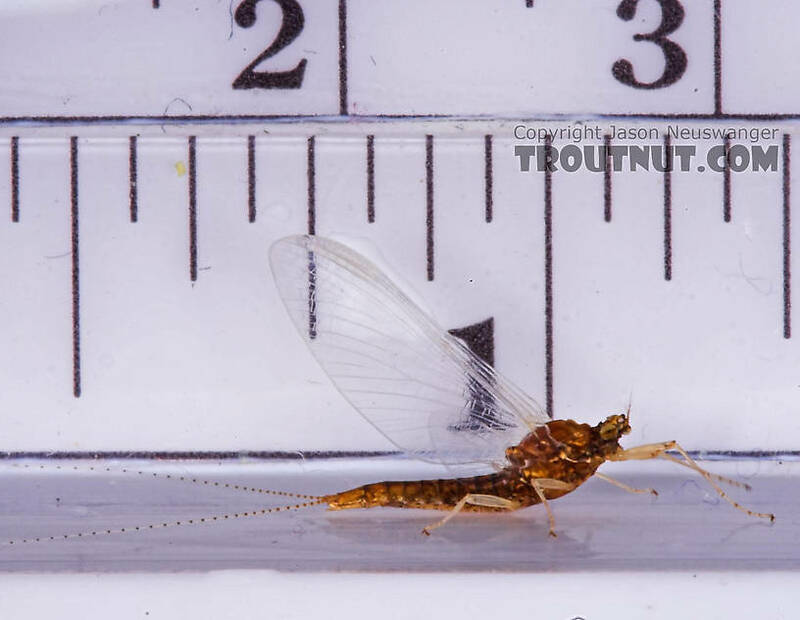 This mayfly was collected from the West Fork of the Chippewa River on July 28th, 2005 and added to Troutnut.com on April 14th, 2006. 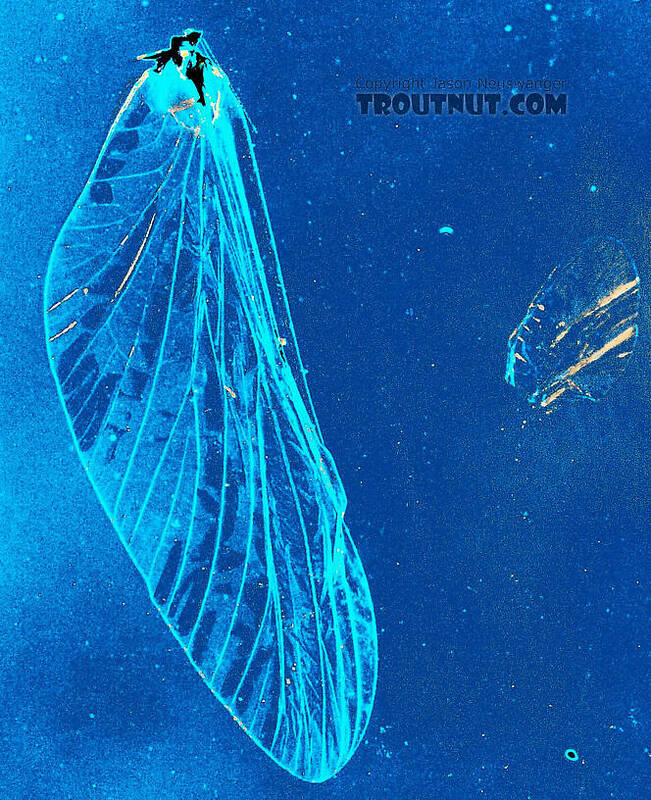 These strangely lighted and enhanced "wingprint" photos can help with the identification of some species even when the veins are clear. 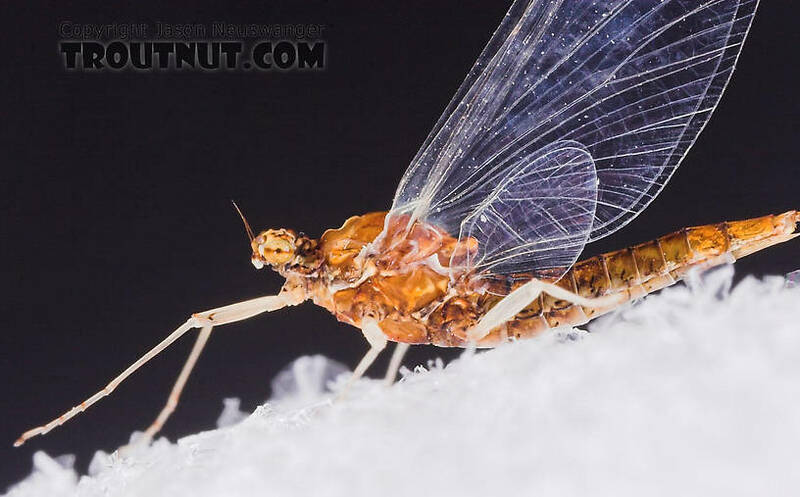 Oblique lighting and false color illuminate the vein patterns in this completely transparent hind wing.